Boasting 300 days of sunshine a year, bright Trentino-Alto Adige is a timeless bilingual region at the crossroads of Italy and Austria. As its double-barrelled name suggests, the region is made up of two areas: Trentino, in the south, is 98% Italian-speaking, whilst the mountainous terrain around Bolzano - known both as the Sudtirol (South Tyrol) and Alto Adige - has a unique mix of Italian and German landscapes, languages (German is the first language) and architecture. The architecture is that of the Austrian Tyrol: onion-domed churches stand in Alpine villages, where quaint wooden houses enjoy a mountain backdrop. Pedalling on well-maintained cycle tracks from your starting point in the mountain range in Sudtirol, you'll head through the emerald Val Pusteria valley, passing three rivers (Rienza, Isarco and Adige) en route to Riva on the lemon-lined shores of Lake Garda - a lively town with a mix of sun-worshippers and activity-seekers. Along the route you'll stay in some wonderful towns. Distinctively Germanic, Villabassa, Brunico and Bressanone boast wooden buildings, beautiful squares and riverside settings. Bolzano is the turning point where Italy creeps upon you, its large piazzas, linked by porticoed streets, all shadowed by the mountains. Onwards into Trentino, and to the town of Trento where Italy arrives with a bang, the volume rises, as you wander within the old walls, admiring the mix of buildings from the C13 castle, to Renaissance and Venetian piazzas and grand buildings. The local food is a splendid blend of the Austro-Italian cultures, where you'll easily find a traditional German beef pancake soup (Fladlesuppe) or a meat schnitzel being served alongside a sliced steak salad (tagliata), or apple strudel (apfelstrudel) next to panna cotta. Two staples of the region are pizza and cured meat, which are perfect washed down with a fruity red or fresh dry white wine or a beer. They seem to take the best food from both cultures, so large buffet breakfasts come with good fresh Italian coffee. En route you'll stay in **** hotels located in the centre of the towns - offering the chance to sample the local food in a simple pizzeria or even a high-end restaurant. 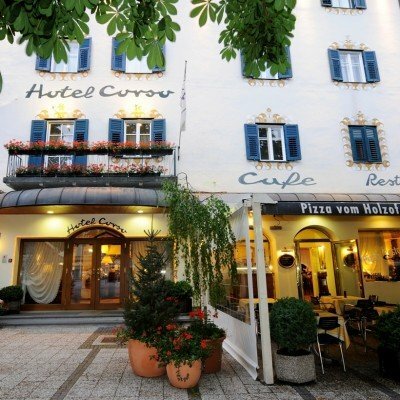 The accommodation styles vary from quaint Tyrolean-style hotels to a relaxing spa hotel in Riva. Four have swimming pools. Perhaps have a stroll along the river before heading out for dinner. There are two options on your first day. The longer option is a short circle to visit Dobbiaco with its beautiful church and back to Villabassa. Then you'll continue along the Val de Pusteria following the milky blue Rienza River, passing deep green meadows, whilst mountains loom above. You'll admire a series of quaint Austrian-style towns, where there are plenty of opportunities to stop and have refreshments. Arriving in Brunico, take the time to walk up to its castle and enjoy wonderful views of the town. Make your way to the head of the Val Pusteria today, continuing along the Rienza river, passing castles and lovely towns. You could wander around Chienes, with its Baroque church and the parish church with the best-preserved altar in the Tirol. Just before Rio Pusteria you'll see the impressive ruins of the Chiesa di Rio Pusteria, and heading onwards, the biggest fort in Alto Adige, the Forte di Fortezza. Then it's on a forested track to meet the Isarco River and into Bressanone, perhaps stopping at the Abbiaza di Novacella (or return on your day off). You could easily spend the day exploring the stunning town of Bressanone. Visit the C10 cathedral, rebuilt in Baroque style in the C13, the Renaissance Bishop's Palace, which houses several artworks, including a nativity scene with more than 5,000 figurines, and the interesting Pharmacy Museum. Or cycle back to visit the Abbiaza de Novacella or take a trip on the Plose cable car from nearby San Andrea. The Isarco River leads you out of Bressanone. The cycle tracks today hug the river, at times you are almost above the river, as you meander along the edge. Take time to stop in impressive Chiusa, the mediaeval town with narrow streets and little art and craft shops. Standing above the town is the impressive Castel Sabbiona. Enjoy the downhill ride as you criss-cross the river on perfect cycle tracks. At the exit of the village of Blumau, perhaps stop for lunch in their lovely beer garden before heading into Bolzano for your next two nights. Bolzano is a treat of a city to walk round; it was in 2014 voted as having the 'best quality of life in Italy'. It is where Italy really begins, despite still being in the German-speaking region, 75% of its inhabitants now speak Italian as first language. Aside from wandering around the city's piazzas and porticoes, there are some interesting monuments and museums. The big attractions are the South Tyrol Museum of Archaeology, which houses a mummy of Otzi the Iceman, the Gothic cathedral, modern art museum, or the Dominican Church housing a series of C14 gothic art. There are also three castles and a cable car that takes you out of the city to the small town of Ritten, where there are some nice walking routes. Alternatively, you can take the train to the spa town of Merano, and cycle back along the Adige River for 32km. The longest day of the holiday is a lovely flat ride following the Adige River, and the narrow Adige valley, passing beautiful cliffs as you cross into Trentino and out of German-speaking Italy. Apples turn to vines as you cycle alongside vineyards. Maybe take time to stop in Egna, once a Roman village, you can still see one of the old Roman houses and pass the old arcades in the old town. Follow the river through a lovely relaxed nature reserve before arriving in bustling Trento with its stunning architecture. Highlights today include the Piazza del Duomo where the magnificent late Baroque fountain is framed by the C12 Romanesque-Gothic cathedral and the frescoed Museo Diocesano Tridentino, home to one of the most important ecclesiastical collections in the country. Don't miss either the Castello del Buonconsiglio, residence of the Prince-Bishops of Trento between C13-C18, and the Via Prepositura, where beautifully restored pastel buildings date back to the ancient Roman City. You'll have a real sense of achievement today as you complete your final leg, with the option to visit Rovereto en route, down from the mountains to the shimmering waters of Lake Garda. Writers and artists, inspired by the wild beauty and vibrant Mediterranean-style colours, have been coming here for centuries, with Goethe calling it 'a marvel of nature, an enchanting place'. We take you to Rovereto for your train to Verona or onwards, or maybe spend a couple of extra nights relaxing on the lake. This award-winning, family-run hotel maintains the highest standards of South Tyrolean hospitality with a refined personal touch. The hotel itself combines the traditional with the modern and, following this ethos, the rooms and suites all have their own individual and sometimes eclectic style, and are all furnished to a very high standard. The hotel's restaurant offers tasty Tyrolean fayre, Mediterranean dishes as well as international specialities. The hotel's wellness centre includes relaxation rooms, an indoor swimming pool and sensory showers as well as a Finnish sauna, steam bath and vitarium (similar to the Finnish sauna but a lower temperature). 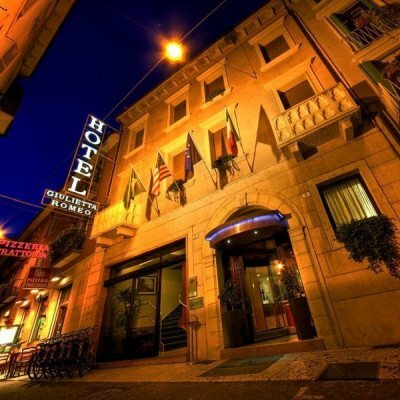 The hotel Corso is superbly located in the centre of lovely Brunico. Sitting on the main boulevard, the hotel is traditionally decorated with a lovely facade, the hotel dates back to more than 300 years. The rooms are large and airy with traditional decor. The hotel has it's own restaurant and pizzeria, and offers a turkish bath and sauna with beautiful views of Brunico castle. 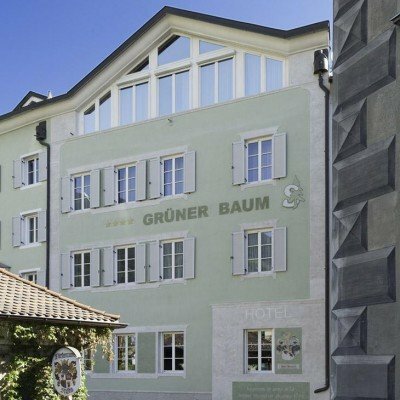 The Hotel Gruner Baum sits across the river from the centre of historic Bressanone. The hotel has two buildings - the main hotel and it's annexe, the Residence Gasser. Rooms can be located either in the main hotel or the Residence. Both offer comfortable large rooms, some of those in the Residence have balconies overlooking the river. Attached to the hotel is a large Spa and Wellness centre, complete with indoor and outdoor pool, sauna and a gym. The Park Hotel Luna Mondschein sits on the edge of Bolzano's historical centre with the entrance, from a medieval street, opening up to a historical coutryard. The hotel dates back to the middle ages when it was referred to as the 'Taverna Manschein' making it one of the oldest inns in South Tyrol. Since 1789 it has been run and owned by the same family. The hotel manages to combine old and new perfectly, with the medieval courtyard making way for large modern rooms that have all the comforts. The rooms look out over the hotel's large park and to the mountains in the distance, yet just a step outside the front door and you are back in the bustling city. 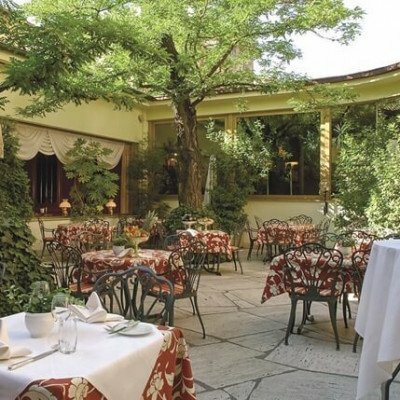 The hotel offers a large buffet breakfast which, in good weather, can be taken in the garden. The hotel also has a restaurant, bar, a small fitness room and a small Spa area with steam bath and Finnish sauna. 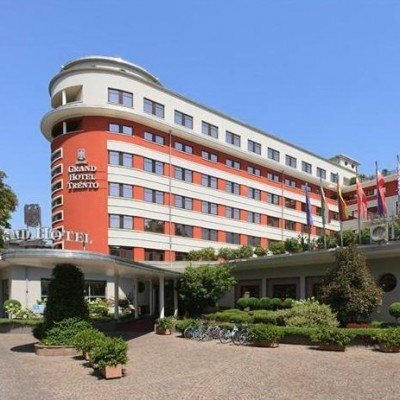 Close to Piazza Dante, the elegant and refined Grand Hotel Trento, is centrally located over the road from the public gardens and the train station beyond. The hotel offers spacious and comfortable rooms with excellent facilities including LCD TV, Wi-Fi, minibar and ensuite facilities (shower or bath). Each different floor of the hotel has its own colour scheme. 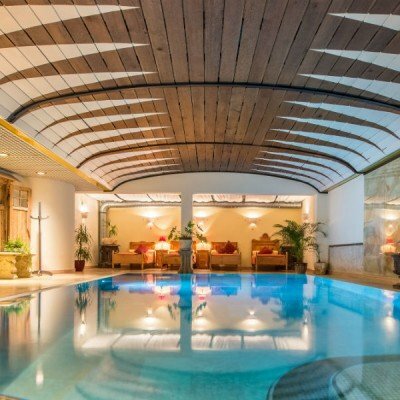 There is a frescoed bar, a high quality restaurant offering a range of dishes using fresh, local produce and a wellness centre with a sauna and a range of treatments. 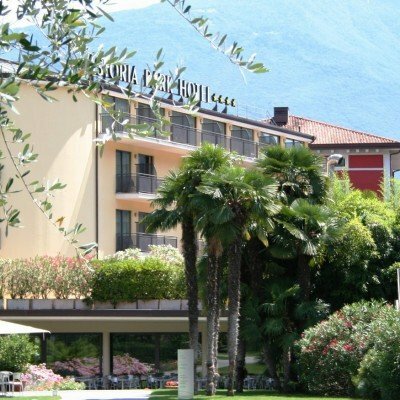 The Hotel Astoria Park provides an oasis just 1km from the old town of Riva. The hotel boasts 15,000 square metres of park, which includes a large outdoor swimming pool. There is also a large Spa with a small indoor pool. For those who don't want to venture into town for dinner, the hotel also has an a la carte restaurant. The rooms have been decorated in a contemporary style and are light and airy, many with mountain and park views. The hotel offers a large buffet breakfast with hot and cold dishes. In summer months this can be taken outside on the veranda. Transfers included from Venice Airport at 10:05, and back to Rovereto train station at 07:00. This was a fantastic holiday, great scenery and good hotels. Go for and EBike and fly along enjoying the ride, don’t worry about how old you are. From our 11 previous cycling holidays booked with Headwater, the Dolomites to Garda is in a class of its own. In all aspects be it the accommodation, bicycles, food, routes, scenery it is a stunning holiday. Over the whole holiday the paved dedicated cycle routes gradually descend from 1200 metres to Lake Garda, each day is a steady decline, what bilss! The scenery is truely magnificent and the mixture of typical Austrian organisation and Italian tastes is a heavenly concoction. The local agents service was first class, everything happened as planned and on time, their route notes were spot on and I am pleased I used them as they gave you the full regional picture and not just an A to B route, as it is always nice to explore off piste. Despite this being a cycling holiday it could easily be combined with some days walking particularly before the start of the holiday in the heart of the Dolomites. Whilst there are many other cycling holidays on offer with Headwater this is certainly one I would be rebook in the future. For those new to cycling this is an ideal holiday as 90% of the route is on signposted dedicated cycle ways and the bonus is that it is predominantly downhill. Every Wednesdays from 1st May 2019 to 28th Sep 2019, for 9 nights. All dates are subject to availability, please contact us to check. It is possible to hire electric bikes for this holiday at a supplement of £99 per person. As these are available on a first come first served basis, we recommend early booking to avoid disappointment. Due to the tailor-made nature of our holidays, we need a little more information in order for us to check availability for From the Dolomites to Lake Garda Cycling. Simply complete the form below and a member of our sales team will contact you (when it's most convenient for you) to provide availability information, travel options and an accurate price. Of course there's no obligation, but if you do wish to proceed with a booking they will be on-hand to assist you throughout the process.